Day 10, Kiwi Experience: Enroute to River Valley. I have skipped Day 9 of the Kiwi Experience because Matt and I spent most of our day chilling, before having an afternoon game of mini golf; an activity that doesn’t warrant a whole blog post to itself! While it was nice to ‘hop off’ and have a day without travelling, we were really looking forward to our next destination, River Valley. 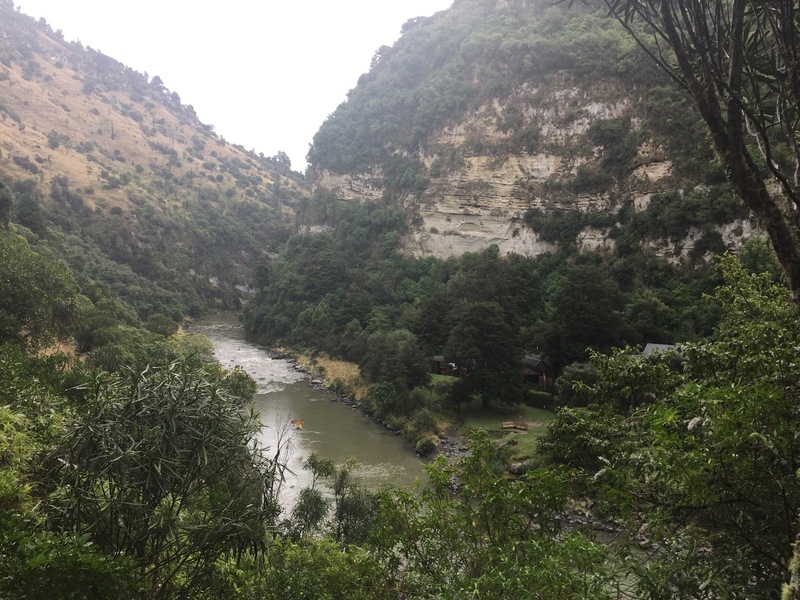 River Valley is one of the most secluded Kiwi Experience destinations, with no phone reception and very little else to do apart from the great outdoors. We stayed at River Valley Lodge which is at the end of a very mountainous road down a tiny dirt track, of which the last 10 minutes has to be done on foot. The lodge itself is rustic and cozy, with dorm rooms and privates to choose from. When we arrived Matt and I headed straight out into the rain to complete a hill walk that the lodge recommended doing, with views over the valley. 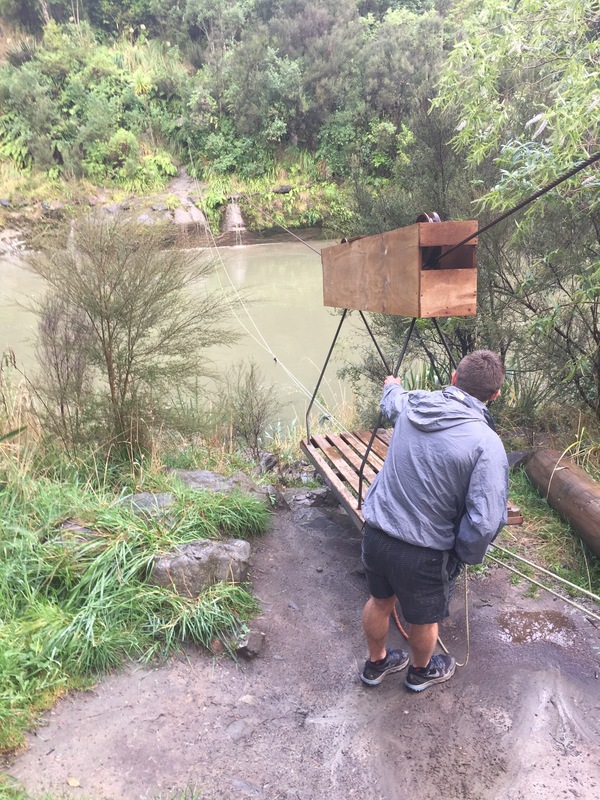 This consisted of pulling ourselves across a river on a wooden contraption and crossing a fast flowing Waterfall on a plank of wood. We only got half way up due to time constraints but the views of the Valley were spectacular. At 6.30pm we were served a roast dinner which we had pre-ordered on the bus, which was a lovely change to the canned soup and toast that has become our staple. We then spent the rest of the evening meeting new people and chatting with a glass of wine (or in Matt’s case a jug of beer). By half past 10 however we were all in bed, ready for our activity the following morning. 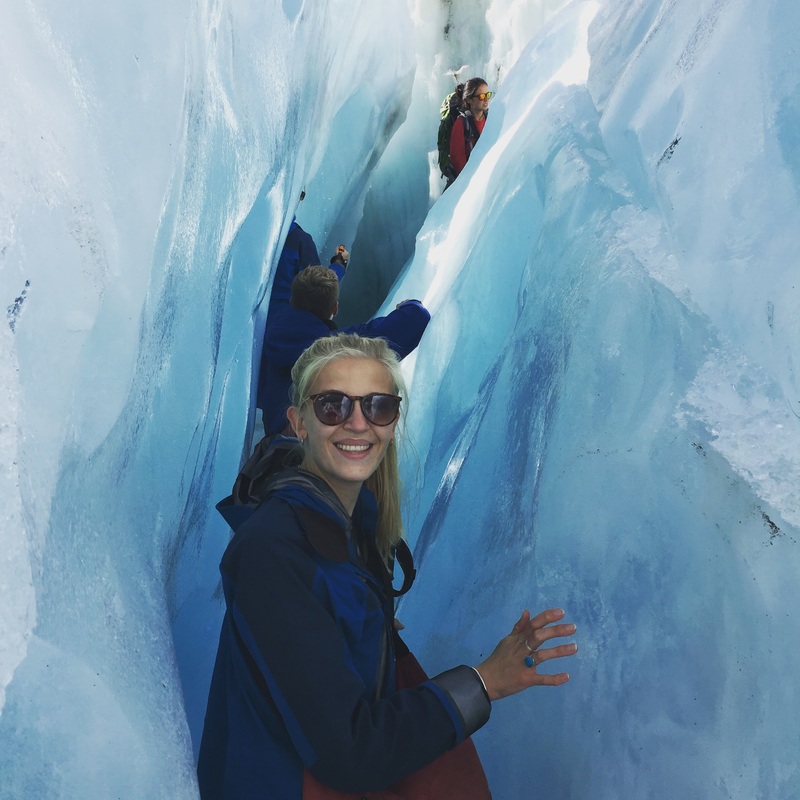 Day 8, Kiwi Experience: The Tongariro Crossing, Taupo.